During each inspection the system will be tested to ensure everything is fully functional. Here is how to ensure the reliability of your building’s fire safety system. Ensuring fire protection is properly maintained is an important part of facilities management. Regular inspections are necessary to making sure a system is compliant and will work when needed. 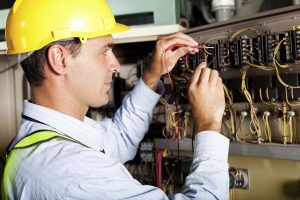 Inspections often reveal items needing repairs and it is equally important to follow up on these inspections by ensuring the necessary maintenance and repairs are completed. During each inspection the system will be tested to ensure everything is fully functional. Here is how to ensure the reliability of your building’s fire safety system. Inspections: Even as a building manager or business owner, you can take a look at the components of your fire safety system to see if anything is in need of repair (extinguishers not charged, sprinkler leaking, alarm panel showing troubles). For a more in-depth inspection, however, you will need to expertise of your fire protection partner. These inspections are done at frequencies recommended by the NFPA and include testing the equipment and systems. Tests: For the testing phase, a fire protection technician will simulate emergency conditions and see how will your equipment performs. This is not something you can accomplish on your own and must be contracted to your fire protection company. Repairs: Over time, all systems will need occasional repairs. However, if you keep your system and equipment in good condition with routine inspections, it can extend the overall life of the system. At some point though, you may need to upgrade or replace the equipment you have as all equipment and systems have an eventual life span. Ensuring fire protection for a hospital is much more complicated than doing the same for a school campus or a restaurant. Although hospitals have evacuation procedures, most of their fire protection is focused on how to prevent or control fires, extinguishing them before they become too much of a threat. If you need to arrange inspections, tests, or repairs, it’s best to do this while your building is unoccupied. Sometimes, it’s impractical to do this. In these cases, you will have to conduct the inspections piece by piece, and temporarily move your employees somewhere else if there is space for them to continue working. Copy Your Documents: Create a documentation log of every action related to your fire protection system. From a simple glance to extensive repairs, you must track all of it. Expand the System: Next, consider expanding the system. You need to consult with your fire protection partner to see if this is feasible or even possible given the size of your facility. Upgrade: Mass notification systems and other upgrades can be invaluable pieces of life-saving technology. Consider adding upgrades to make your fire safety systems more efficient and effective. This entry was posted on Wednesday, October 31st, 2018 at 2:20 pm. Both comments and pings are currently closed.